Summer Of Love Revisited Part I. The Music Box Theatre on Chicago’s north side is screening a new 4K restoration of D. A. Pennebaker’s 1968 documentary Monterey Pop today and tomorrow at 2:00 p.m. 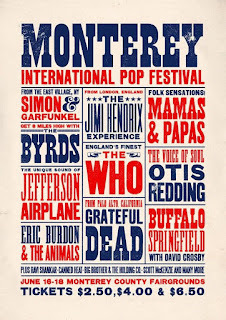 The groundbreaking rock festival, which took place a year before the film was released, included performances by Jimi Hendrix, Eric Burdon and The Animals, Buffalo Springfield, Janis Joplin, The Who, Ravi Shankar, Otis Redding, Simon and Garfunkel, Grateful Dead, Lou Rawls, The Mamas and The Papas, and The Byrds. 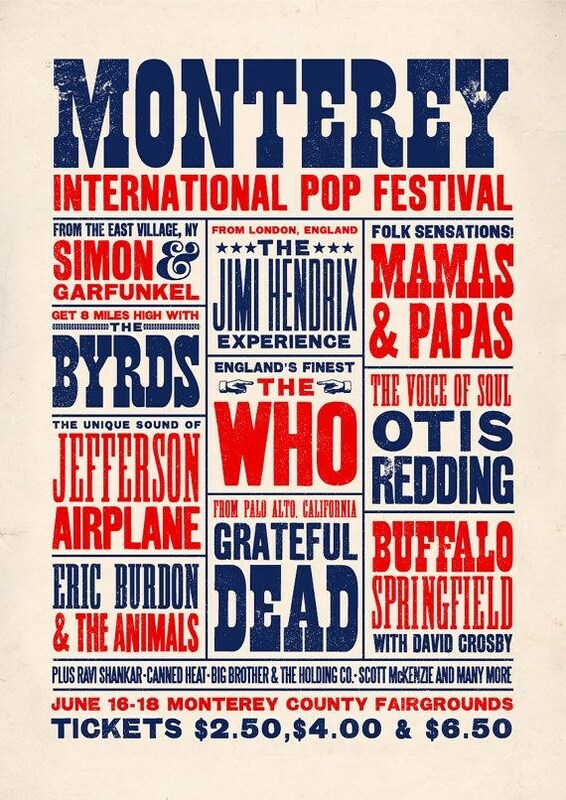 Lou Adler, the successful producer and one of Monterey Pop’s organizers, is staging a 50th Anniversary version this weekend. Original performers Eric Burdon, Booker T. and Phil Lesh will be joined by new acts like Norah Jones (Shankar’s daughter), Father John Misty, and The Head And The Heart. Tellin’ Tales Theatre, a Chicago-based company with a mission to “shatter barriers between the disabled and able-bodied worlds through the transformative power of personal story,” is bringing back its original production of Divercity for a limited run this weekend at Prop Thtr. It opened last night and will be staged tonight at 8:00 p.m. and tomorrow at 2:00 p.m. Divercity features monologues from cast members. Prop Thtr is located at 3502 N. Elston. Summer Of Love Revisited Part II. There’s still time to see a production of Hair at the Metropolis Performing Arts Centre in Arlington Heights. The musical, which debuted off Broadway in 1967, runs at the Metropolis through July 1. Cheap Trick’s latest album We’re All Alright became available to download yesterday for those of us who preordered it through PledgeMusic. It’s a harder edged effort than last year’s Trick offering Bang, Zoom, Crazy . . . Hello, but still retains the band’s knack for infectious melodies. One of the less manic tracks (and possible the album’s best) is a magnificent cover of The Move’s “Blackberry Way.” I’ll be reviewing We’re All Alright here in the near future. Martyrs’ On Mondays. The Sunshine Boys, a new band formed by music veterans vocalist-guitarist Dag Juhlin (The Slugs, Poi Dog Pondering, EXPO ’76); drummer Freda Love Smith (Blake Babies Antenna, Mysteries Of Life); and bassist-backup vocalist Jacqueline Schimmel (Big Hello), have a solo gig coming up this Monday at Martyrs’ on Lincoln Avenue and a week later at the same venue as the opening act for The Imperial Sound. For those hesitant to venture out on a school night, The Sunshine Boys promise they have more gigs on the way. They also have a demo of their politically charged song “Schoolyard Bully” available as a name-your-price deal on their BandCamp page. The indie UK label Fruits de Mer has three new vinyl-only releases coming soon. California-based trio Sidewalk Society will once again pay tribute to The Action by recreating demos recorded by the British group for its Rolled Gold album back in the 1960s. The Action’s original version didn’t see the light of day until the early 1990s. Sidewalk Society’s self-titled 2016 EP had two covers of songs by The Action. Also on the FdM label, Tony Durant from Fuchsia has put together a double seven-inch release titled Song that features tracks culled from the psyche/folk band’s 50-year career. And American singer-songwriter/producer Anton Barbeau’s Heaven Is In Your Mind four-song seven-inch EP on FdM has one original tune, plus a David Bowie cover, a Big Star cover, and a Traffic cover. Summer Of Love Revisited Part III. The Prop Thtr is staging the Andy Somma 60 Psychedelic Show on Saturday, July 22. According to a post on the theatre’s Facebook page, the event will offer, “music, dance,film, and more!” The late 1960s vibe returns to Prop about a month later when the very first YippeFest, a love child of the late Mary-Arrchie Theatre’s Abbie Hoffman Died For Our Sins festival, runs the weekend of August 18 through 20. Social Act, one of the first local bands I interviewed when I began my decades-long tenure at the Illinois Entertainer, recently reunited and has filmed a video to promote its upcoming album Today’s Tomorrow. Band members include Ellis Clark and John A. Krenger. Wonder Woman is getting a lot of press these days, thanks to the new action-packed movie starring Gal Gadot. If you had enough cash, you could have snagged the Wonder Woman #1 DC comic from 1942 at a recent Heritage Auctions event. It sold for $95,600. 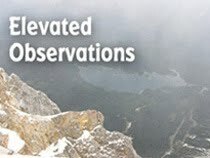 Or you can probably still get the June 5 – 11 edition of Streetwise from one of the publication’s vendors for $2.00. It has Wonder Woman on the cover and features some great DC Entertainment images and copy by Anastasia Safioleas from Australia’s The Big Issue publication. Summer Of Love Revisited Part IV. There may be no better way to remember The Summer Of Love than to pick up a copy of the remixed 50th Anniversary of The Beatles’ Sgt. Pepper’s Lonely Heart’s Club Band album. The sound quality is amazing and the 2-CD edition includes 18 tracks of alternate takes of the album’s songs, plus versions of “Penny Lane” and “Strawberry Fields.” I’ll be posting a more extensive look at this new release of the iconic album in the new future.